"Like sands through the hourglass, so are the days of our lives," and even if your life isn't a soap opera you're still going to need some way to keep track of passing time. Since there isn't an hourglass big enough to store a year's worth of sand, these dozen cool creative calendar designs will have to do. 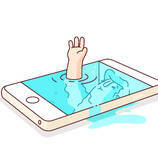 The stationery trade has had difficulty coping with the advent of online, paperless media. 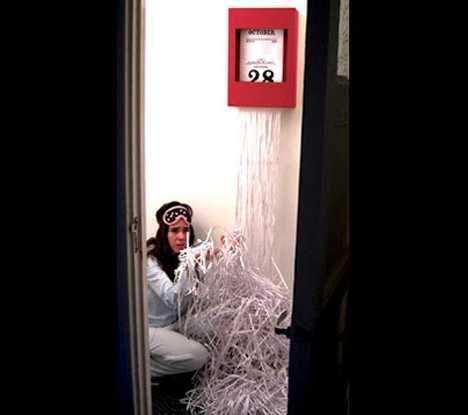 Maybe it's the "paperless" part that's the main problem… ya think? Even calendars aren't immune, what with traditional paper calendars being transmuted into online applications. Leave it to Google to break with SOP, however, and that's exactly what they've done with the Google Wall Calendar. 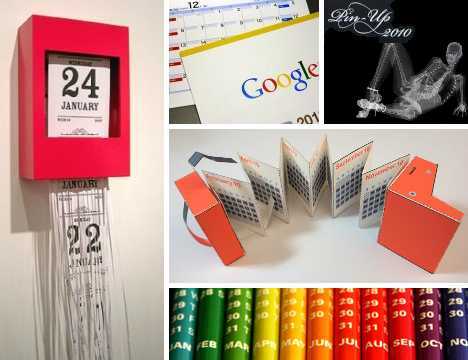 A touchy-feely take on the company's Google Calendar web application introduced back in April of 2006, the 2010 version of the Google Wall Calendar was created by Google Japan and measures 30cm (12 inches) wide by 21cm (8.5 inches) tall. 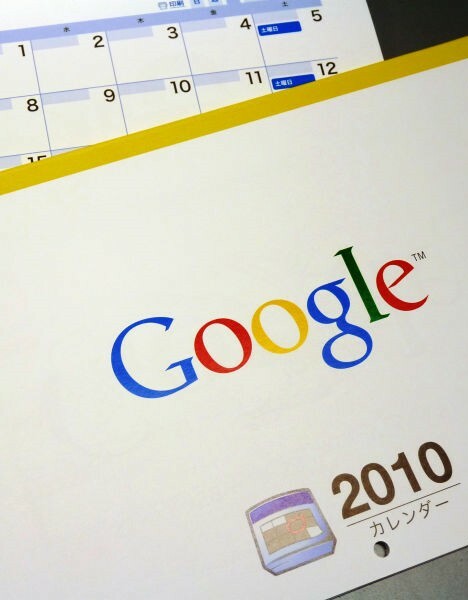 The calendar incorporates themes relating to important Japanese national holidays in each month's graphic Google logo, a feature that's become a standard feature of Google's online home page when special events are celebrated. 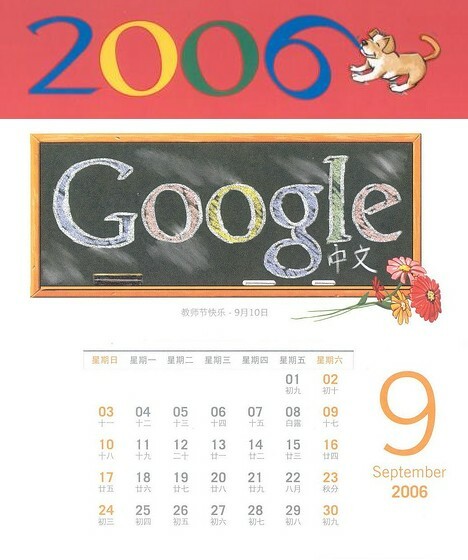 2010 wasn't the first time Google issued an actual paper wall calendar in Japan, as a 2006 version (above) is known to exist. 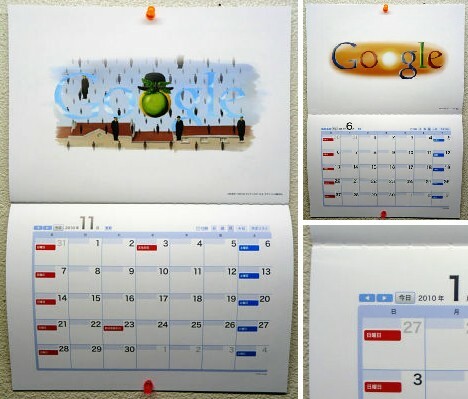 These retro-cool Google Wall Calendars have proven to be wildly popular and difficult to acquire; one wonders if the New Media giant is hedging its bets on a future in old-school media. Calendars mark time while cameras capture moments of it – put the two together and you've got a calendar that's a snap to use! 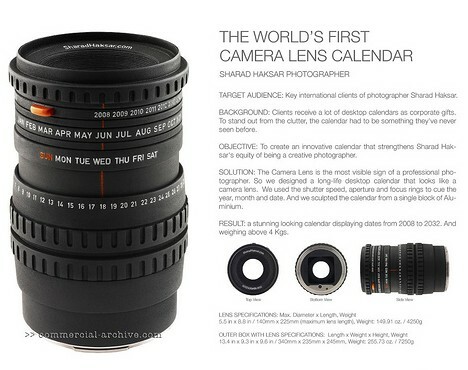 Designed by Indian artist Sharad Haksar, the Camera Lens Calendar keeps every picture-perfect day in sharp focus from start to photo finish. 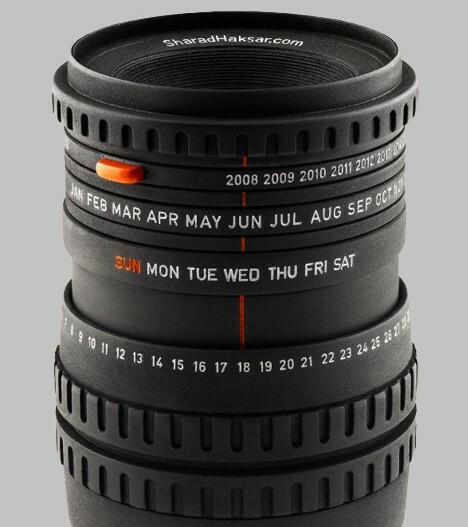 Touted as "the world's first camera lens calendar" – and quite possibly the last – Haksar's visionary creation is no one-off design exercise. It can be ordered direct from the designer for the low, low cost of just $2,000 and delivery is within 15 days. But wait, there's more! The body of the 5.5 x 8.8″, 4kg (8.8 lbs) "lens" is sculpted from a solid block of aluminum, then assembled so that by lining up a series of rings one can view the date, day, month and year all the way up to 2032. By then, of course, we'll have camera lens calendars that also function as camera lenses… ideal for capturing your flying car for posterity! If it's Tuesday, you must have tuberculosis! Yes indeed, TB can be your disease of the day, every day, courtesy of the morbid but nice folks at the Voskhod advertising agency in Yekaterinburg, Russia. All the wonders of classic Consumption, now in 3D! 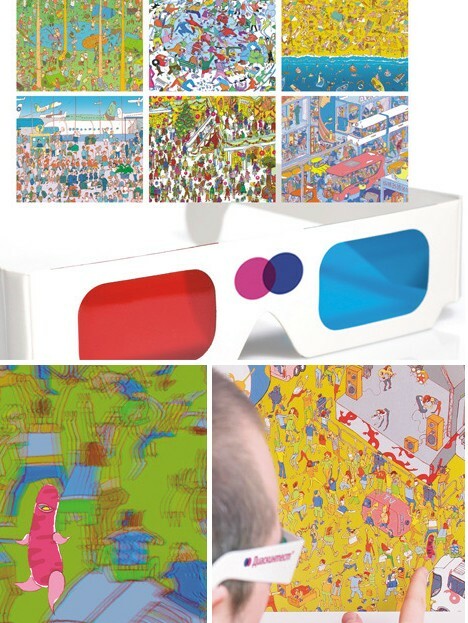 The calendar, called Diaskintest, takes the time-tested "Where's Waldo" approach to diagnosing tuberculosis and updates it with the latest in 3D technology… well, not exactly the "latest": the calendar comes with a pair of plastic, blue/red 3D glasses that were cutting edge in 1973. Here's how the Diaskintest TB 3D Calendar works: Open each of 12 months in the calendar and you'll see a standard numeric grid with a seemingly abstract image just above it. Use your 3D glasses to pick out the Mycobacterium Tuberculosis bacteria lurking amid the pleasingly colorful diseased lung tissue. Making bacilli silly; it's what they do at Voskhod. 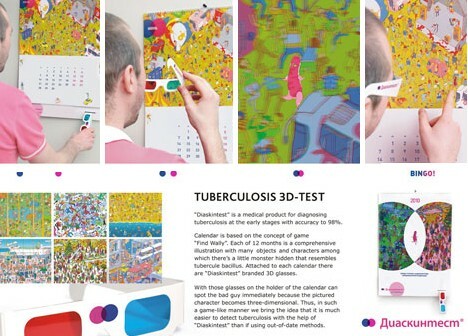 The Diaskintest TB 3D Calendar is also the perfect gift for that tough-to-buy-for Gregory House type on your holiday gift list. An apple a day may keep the doctor away, but how in the world are you going to keep track of all those days… and, all those apples? A calendar, of course! And not just ANY calendar, either. 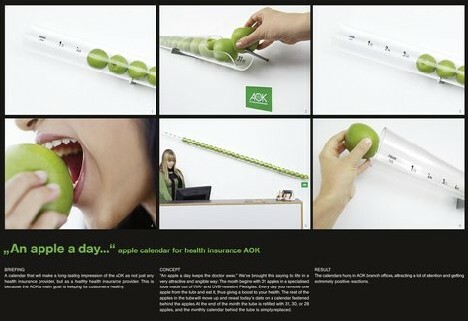 Serviceplan, the ad agency for German health insurance provider AOK, has come up with the "Apple A Day Calendar", a sort of fruit bazooka that reveals the new day's date every time you remove an apple from the UVA- and UVB-resistant Plexiglas tube. At month end, simply reload the Apple A Day Calendar with 28, 30 or 31 apples. Tasteful (and tasty) Apple A Day Calendars were hung in a number of AOK branch offices where they supposedly attracted a lot of attention. One must wonder, though, if there was a mad rush at each branch every morning to remove the daily apple, thus taunting latecomers who had to spend the rest of the day drooling. I seed what you did there. 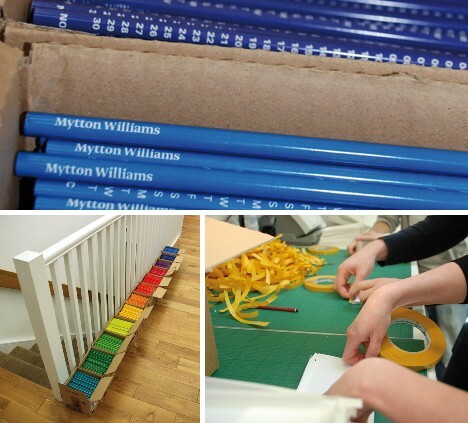 Shave the days away with the Pencil Calendar created by Mytton Williams Design in the UK. Now you too can "get the lead out" every morning, thanks to this unique calendar design that substitutes graphite for graphics. 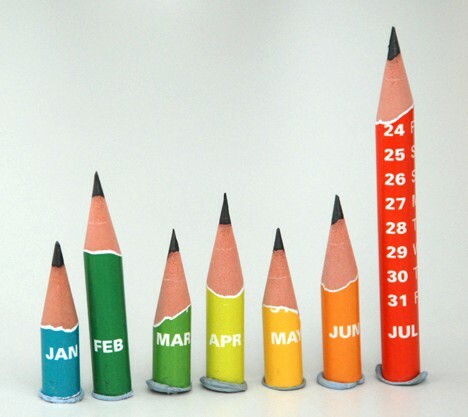 The concept is a simple one: each pencil's outer coating has been overlaid with numerals ranging from the first to the final day of each month. Start using your "January" pencil on New Year's Day and by the end of the day when it (and you) are worn down, sharpen it. 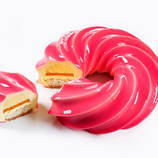 In other words, give the workday added appeal by turning it into curled-up peel. The Pencil Calendar comes to you boxed in all its rainbow-hued glory, arranged not only by date but by temperature: January is as frigid blue as your frostbitten tootsies; August glows bright vermilion like your flushed and feverish brow. 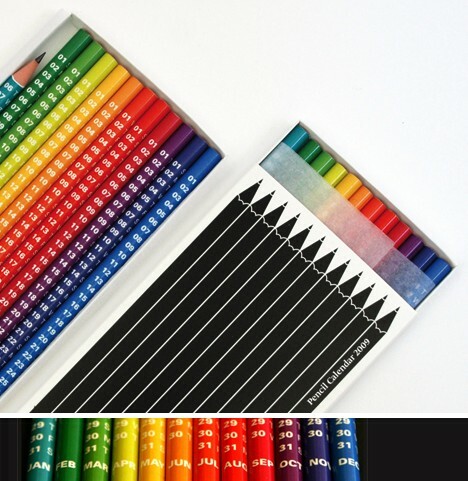 On the other hand, who uses pencils anymore… or works 365 days a year? Just sayin'. So you work for Balloon AA Company and you need to hire an ad agency to design a calendar for a new ad campaign. Who else but High Advertising, amiright? 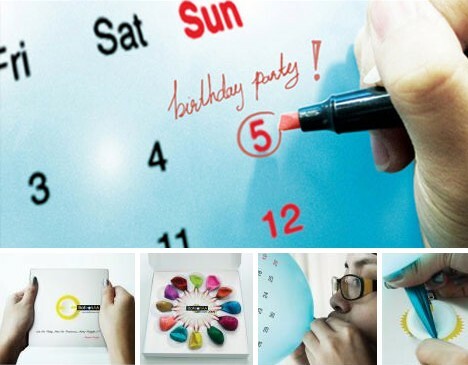 According to Balloon AA, a household maintenance and pet products company from Thailand, this special Balloon Calendar aims to "turn a stressful office into a 365-day party." I guess productivity is measured somewhat differently in Thailand… and since the ad campaign's tag line is "Live for today, Plan for tomorrow, Party tonight!!! ", I'm sure of it. Each of the 12 colorful balloons features a graphic calendar along with Balloon AA's website address and contact info. 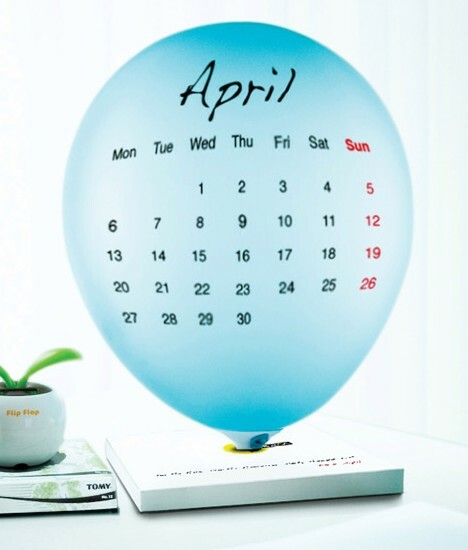 The Balloon Calendar was released in November of 2009… let's hope somebody remembered to hold onto the string. Looking to add a note of calm and quiet to your day? Sure you are… but all year? German ad agency Butter is thinking just that for this ear-y Earplug Calendar. 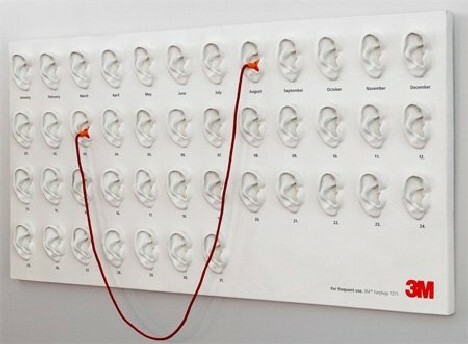 Forty-three molded ears (12 for the months, 31 for the days) are ready and waiting to be plugged – one each – by a pair of 3M model 1271 earplugs attached to each other by a string. 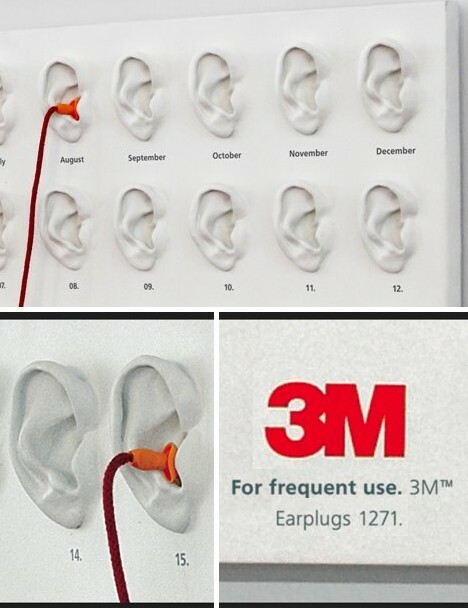 3M's model 1271 earplugs are sold with the tag line "for frequent use", so installing the Earplug Calendar in a noisy office, classroom, daycare center etc might be problematic when somebody takes the ad copy to heart, thereby rendering the calendar… mute. 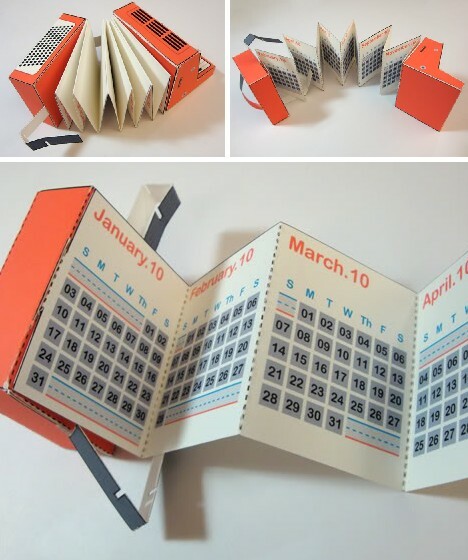 An accordion-folded calendar in an accordion-shaped carrying case… well, I'm in accord with that. Leave it to the folks at Mein Craft Haus and Paper Foldables. The latter offers a link to a printable PDF page by which you can simply print, cut, fold and tape… and thankfully, NOT play. The Accordion Calendar looks cool by looking uncool and all, but doubtless some will think there's WAY too much work involved in crafting what most people install on their walls with a single push of a pushpin. If crafting – paper-crafting especially – is your thing, however, then this pleated wonder is replete with crafty goodness. 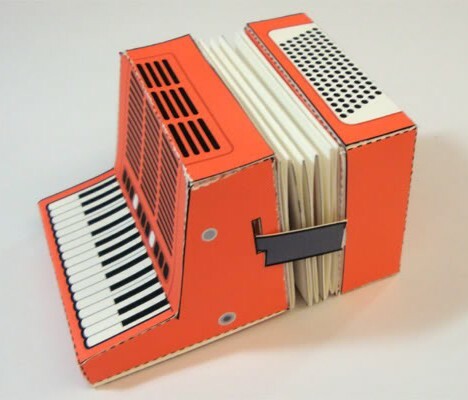 Or good craftiness, as the accordion case may be. The Bubble Calendar was an instant pop culture hit when first introduced. 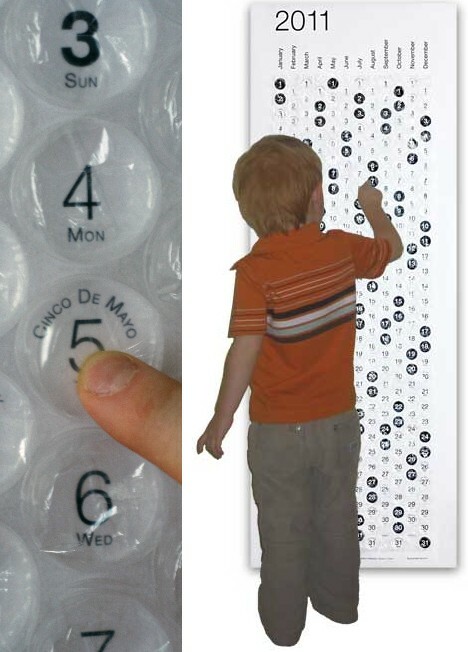 Yes, I said "pop", and that's just what this 48″ x 17.5″ (122cm x 45cm) bubble wrap covered calendar does, once a day. At least that's the concept: I'll bet dollars to donuts not a single bubble remains un-popped after spending a few hours alone with the 6-year-old in the image above. Kids grow up fast… this kid especially. 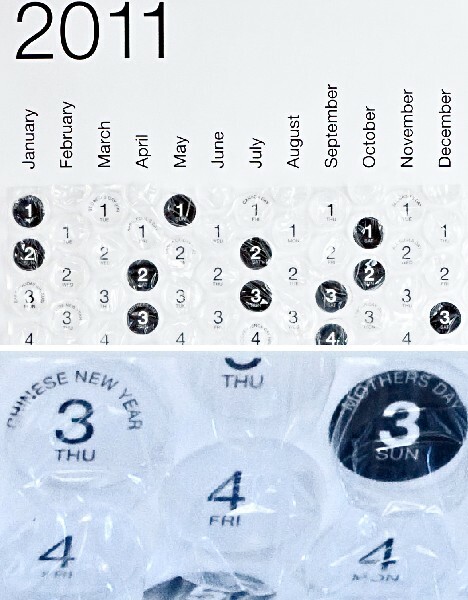 According to the Bubble Calendar people (you know who you are), the Bubble Calendar is available in any one of 4 different languages, employs "heavier bubblewrap for a bigger POP", has the weekends bolded for quick reference and features American, Australian, British, Canadian, and New Zealand holidays. Quick, name a New Zealand holiday that has nothing to do with sheep! Time's up, it was a trick question. 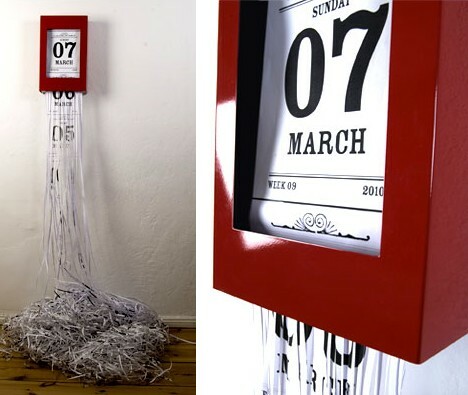 The Chrono-Shredder by artist and designer Susanna Hertrich leaves each passing day cut & dried… well, at least "cut". 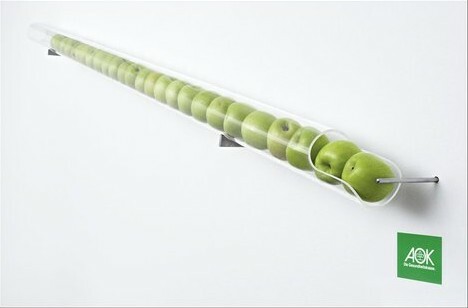 According to Hertrich's website, this wall-mounted, one-off device "reminds us of the volatileness of the Now". Funny, it reminds me of a wall-mounted paper towel dispenser from a grade school washroom though those didn't display the date, as I recall. In keeping with the so-called Now and its volatility, the Chrono-Shredder never sleeps: it shreds each day in real time, and "As time passes by, the tattered remains of the past pile up under the device." Heavy, man, far out. Calendars… so utilitarian yet so amenable to modification, decoration and other such forms of manipulation. 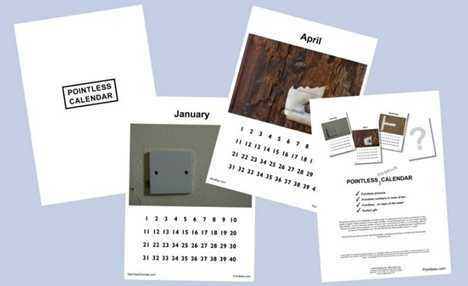 One might ask, what's the point of it all?… and the answer would be the Pointless Calendar… possibly made from paper sourced from the Pointless Forest. 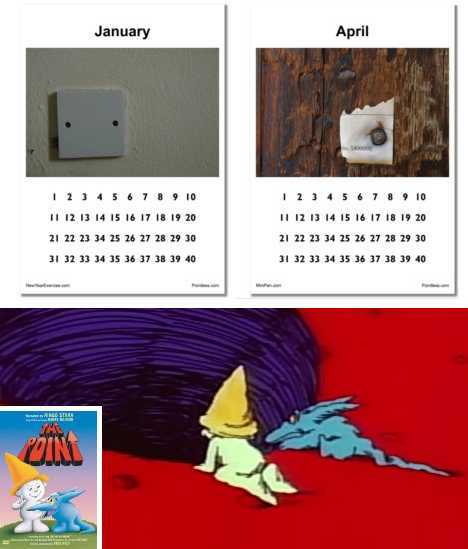 Each month's date grid on the Pointless Calendar is accompanied by an image completely unconnected with that month, or with anything really. Or is that just what they want you to believe? Which is more pointless, these bland, ambivalent images or your repetitive, unremarkable daily routine? What good would it do you to know? It doesn't matter. Don't you understand? Nothing matters! Calendars have been an integral and inescapable part of our lives for thousands of years – take Stonehenge, for example. Nowadays everyone has what amounts to the home version of that pre-Druidic stone circle hanging on their kitchen wall, emblazoned with awe-inspiring images of cute cats or, perhaps, various views of Stonehenge. 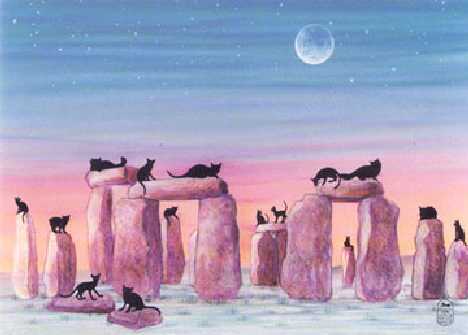 Me, I'm anxiously awaiting a calendar that features cute cats at Stonehenge… preferably the apocalyptic 2012 edition.